Michigan Drug and Alcohol Treatment Facilities. Are you looking for Michigan Drug and Alcohol Treatment Centers? Our listings listed below can help. Ecstasy, cocaine, marijuana and heroin are the predominate drugs in Michigan. These are readily available and are the most abused. The distribution and abuse of cocaine, including crack, has become quite problematic. Crack cocaine can be found throughout the state, but mostly in the inner cities. Cocaine is readily available as well, primarily in the urban and suburban areas. Most cocaine comes either from Mexico or Columbia. Drug trafficking organizations from these countries are largely responsible for the cocaine trade in Michigan. Heroin is found mostly in the more populous parts of the state, such as Detroit. Much of it comes from Africa, South America, Mexico and Asia. The city of Detroit also acts as hub for heroin distribution. It is imported into Michigan and then smuggled mostly to Ohio. It is also sold within the state as well. Many Oxycontin addicts are turning to heroin. The highs are similar and heroin can be easier to obtain then diverted pharmaceuticals. Former Oxycontin addicts are responsible for at least some of the increase in the rates of heroin abuse. Methamphetamine distribution and use is not a huge problem in Michigan. While it is available, its use is not widespread. Most of the meth is manufactured right in Michigan in small labs and for personal use. Club drugs such as GHB and ecstasy are available. However, the use of them is not extremely problematic. Marijuana use however, is widespread. It comes mostly from Mexico and Canada. B.C. Bud, which is a Canadian brand of marijuana, has become pretty popular due to its high potency and quality. The market for it is quickly expanding. Abuse of the prescription medication, Oxycontin is on the rise. It is primarily obtained via doctor shopping, theft, robberies and prescription forgery. It is also purchased illegally from health professionals. Besides Oxycontin, Vicodin, Lortab and Lorcet are reportedly abused as well. 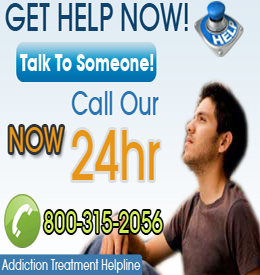 Choose a City to Find Addiction Help in Michigan.